Maes-y-Delyn: Goosey, goosey gander, where shall I wander? Well hopefully not too far! I am so excited about our new arrivals! A gaggle of geese- 4! 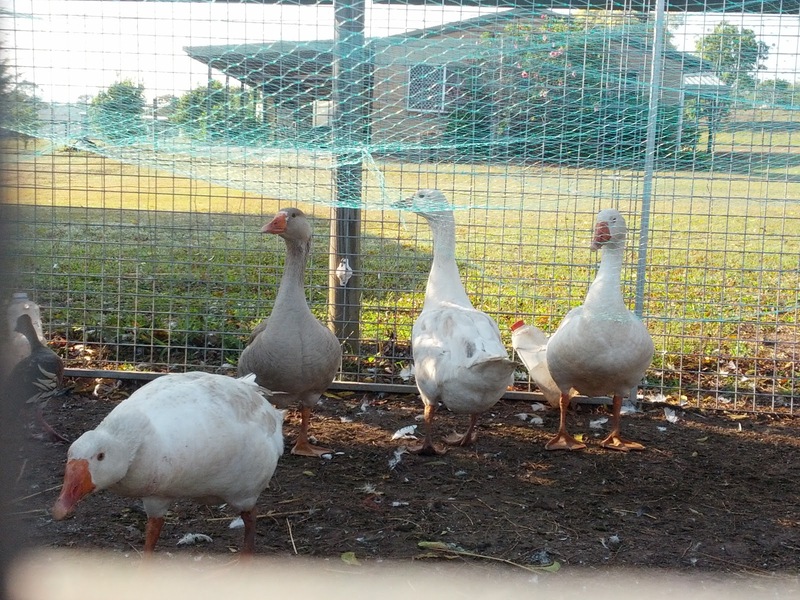 We think 2 boys (ganders) and 2 girls (geese) all about 12 months old. Now I know they can be boisterous, and make great guard dogs. But they are also supposed to be phenomenal snake catchers (and deterrents). I am not sure how our imminent guest will feel about them either. From memory I don’t believe my Mam is a fan, think it stems from a fear instilled by her mother, my Nan. But again time will tell. Suppose they have to get used to us first. We figure, give them a cosy house, food and water and then when we let them wander in the garden they will hopefully know that this is their new home. And eventually trust us.